When I was a Nominated Member of Parliament about 20 years ago, there was a lot of discussion in Parliament about increasing the retirement age to 67 within the following few years. 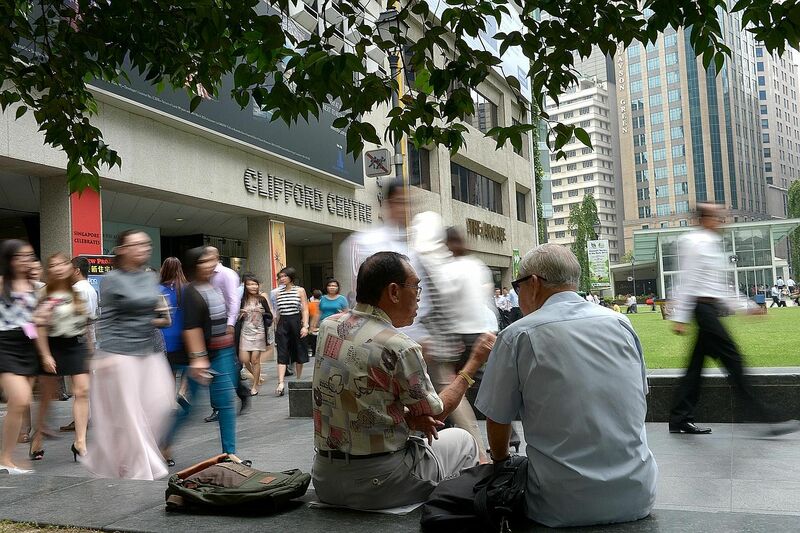 However, it has taken more than two decades for this fact to become a reality: Prime Minister Lee Hsien Loong announced on Sunday that the re-employment age will be raised to 67, with the law to be updated by 2017. One reason for the delay is that many employers and organisations are reluctant to hire older workers because of the increasing gap between pay and productivity - wages increase with age, while productivity does not keep pace. However, there is conflicting evidence for this. Academics Jan C. van Ours and Lenny Stoeldraijer from the Institute for the Study of Labour in Bonn, Germany, published a paper in 2010 which found little evidence of this gap. The paper also found that older workers are thought to be more reliable and have better skills than average workers, although they also incur higher healthcare costs, are less flexible in accepting new assignments and may be less suitable for training. Professor Axel Boersch-Supan from the Munich Centre for the Economics of Ageing debunks the myth that older workers are not as productive as younger ones. He says that based on 1.2 million observations, age and experience beat youth and inexperience. He urged countries with an ageing population to "exploit unused labour capacity" as the top priority if they want to see continued economic growth. According to him, health decline is very slow between the ages of 60 and 69, "so there is no age penalty for productivity in changing the retirement age from 65 to 67". A 2014 paper published in the Journal Of Gerontology by Lowsky D. J., Olshansky S. J., Bhattacharya J. and Goldman D. P. found that 85 per cent of Americans aged 65 to 69 report no health-based limitations on paid work or housework. Similar trends are evident in other parts of the developed world. Thus, it is possible and feasible for older workers to extend their working lives. This proposal often meets with resistance from society and policymakers because of ageism and misconceptions about old age. However, the benefits of continuing to work in old age are immense both for the individual and society. Some studies of healthy ageing suggest that older adults who are engaged in paid or unpaid work have lower mortality rates, are less likely to experience various physical and mental illnesses, and are more likely to have a strong sense of identity and well-being. There are also protective effects against cognitive decline. For many people, retirement at 65 is not economically feasible. In the words of Stanford economist John Shoven, "the reality is that few workers can fund a 30-year retirement with a 40-year career". Societies can also ill afford to finance longer and longer retirements. There are changes in the ageing brain that make it ideal for work in creative areas. We, therefore, should be promoting not retirement but transition at age 65 when older people can express themselves in a creative domain for the betterment of themselves and of society. Thus policymakers and societies should consider raising the retirement age (except for manual workers with physically demanding jobs) or abolish it altogether. Older people should be given the option of working part-time or retraining for other types of work, including participation in the creative domain. Develop suitable vocational training paths, especially for those over 40. Lifelong learning has to be the norm for all. The SkillsFuture initiative introduced in Singapore recently should address this need. Offer occupational prospects and mobility to all age groups, based on age diversity. Have more horizontal mobility to let people move horizontally within roles, without having to move up or down hierarchies, so that different generations can work together. Improve workplace safety and health and well-being, leading to a longer and sustainable worklife. Recognise the value of experience and human capital to the organisation and organise the transfer of skills between generations. Policymakers, employers, unions and society need a paradigm shift in attitudes towards age and wage earners. A life course perspective to work, employment, training and welfare is essential to build a society for all ages. The writer is a former Nominated Member of Parliament and a former president of Women's Initiative for Ageing Successfully (Wings). She is 73.